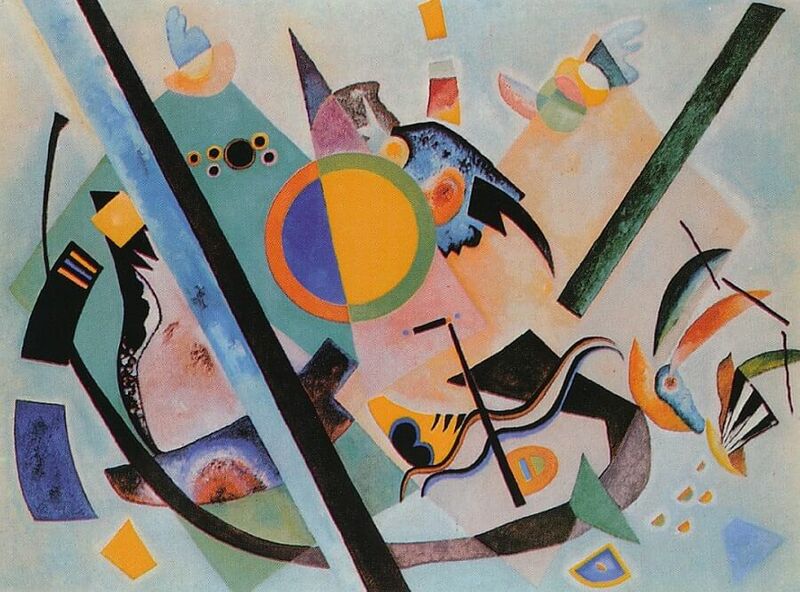 After the end of War I, independently of each other, painters like Picasso, Piet Mondrian, Joan Miro and many others, including Kandinsky and Paul Klee, went through a quiescent period after the tornado of passionate inquiries and explosive emotions of their cubist or expressionistic periods. About 1920, the art of Picasso entered a phase of neo-classicistic coolness which, in its lucidity and compositional transparency, can also be traced in a painting like Kandinsky's Multicolored Circle. But while Picasso's new style had a retrospective quality, Kandinsky's painting signaled the conquering of new formal values. Grohmann was right in stating that Multicolored Circle represents "the dream of a world in which neither psychological nor mechanical laws appear to be valid," for, beginning in 1916, Kandinsky had been in the process of discovering a new kind of pictorial space. While the earlier paintings of an abstract nature still preserved a kind of Schichtenraum (or stratified spatial structure), whose distant zones seemed to have retained a certain material quality that could be physically accounted for, the "new space" - if that term, in its three-dimensional sense, can still be used - apparently lacks any tangible element. It is a nonquantity, a nonexisting background in front of which the geometrical forms display a life of their own. To create this new space Kandinsky used a special method of preparing the ground; he did not utilize the original white of the canvas but th brushstrokes with which he painted over it transformed it into a breathing white plane.